Your wedding day often passes by in a blur, with so much going on you can miss lots of key moments when you are busy having photos taken or mingling with guests, so what's the best way to capture and record those precious memories? Of course photography or videography help to visually capture the key moments and provide a lasting record. Top Hats & Tea Cups had talented photographers Marie Man and Oscar and Rose showcasing thier gorgeous images. But how about having your own book written by someone who is there on the day capturing the atmosphere and translating it into literary prose. The Wedding Reporter calls it creating a literary legacy as you will have a keepsake of your day capturing all of the drama, excitement and emotions in a bespoke report to treasure forever. 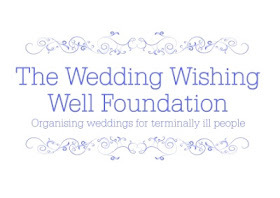 Emma Woodhouse was at Top Hats & Tea Cups talking to couples about the Wedding Reporter and was met with unanimous responses of "what a fantastic idea". Emma developed her business after recording her own big day on forums and her blog and seeing how brides loved to share detailed reports of their weddings. She is the UKs first and so far only Wedding Reporter and now finds her self regularly reporting "from the matrimonial front line". Finally if you want a wedding night to remember, how about spending a night under the stars in this stunning honeymoom yurt from Wedding Yurts. It can be set up at your venue or any romantic location you desire. Definitely an experience to remember forever.